A complete nutritious food product for larger breeds. 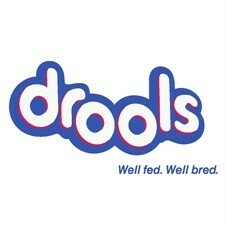 Drools, Dr. Dent, Oral Care Sticks, 150 Gms. Type - Rope leash Size: Length- 48 Inches, Width- 1/2 Inch.